Acute torticollis (wry neck) occurs mainly in children and young adults. It is a fairly common condition that is characterised by a painful, stiff neck and a skewed position of the head. 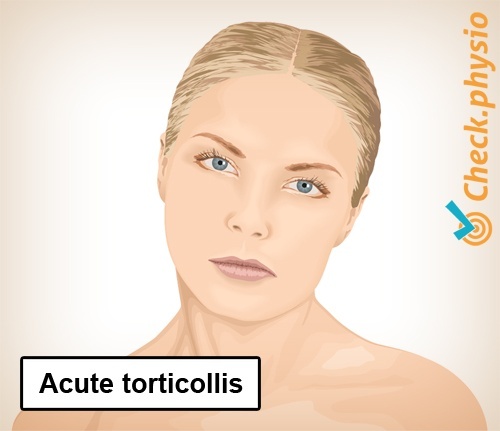 Torticollis or wry neck is usually seen in children aged between five and fourteen years. In some cases the patient is a bit older (up to 26 years). 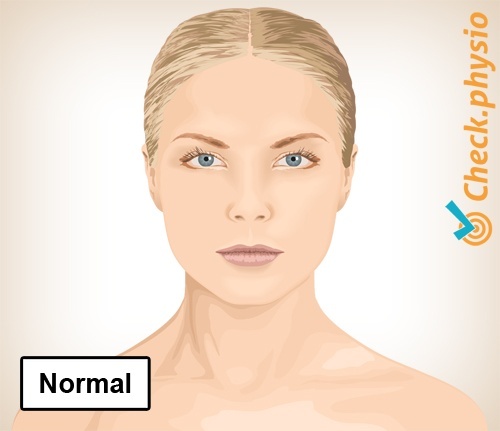 In older patients up to 45 years, we see this limitation in movement to one side in a less severe form called "local cervical syndrome". Tissue swelling occurs on the outside of an intervertebral disc in the neck. A tendinous band, the longitudinal posterior ligament, is irritated to such an extend that the neck becomes painful. 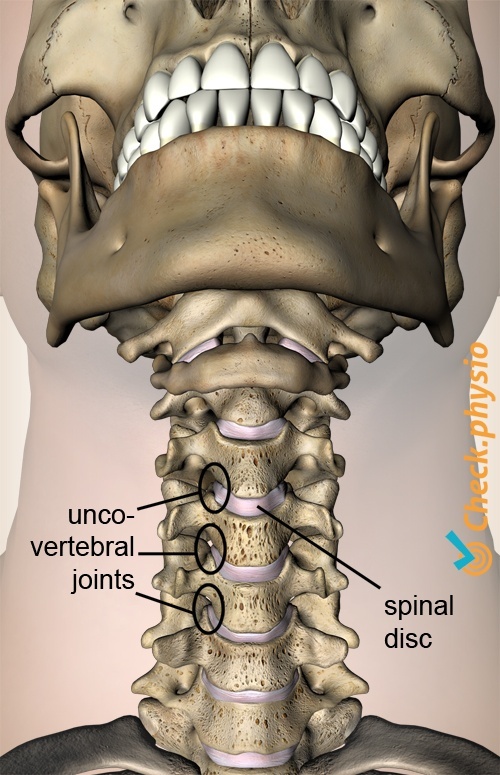 In order to reduce the pain, the neck muscles contract in order to keep the head rotated to the side and bent sideways. 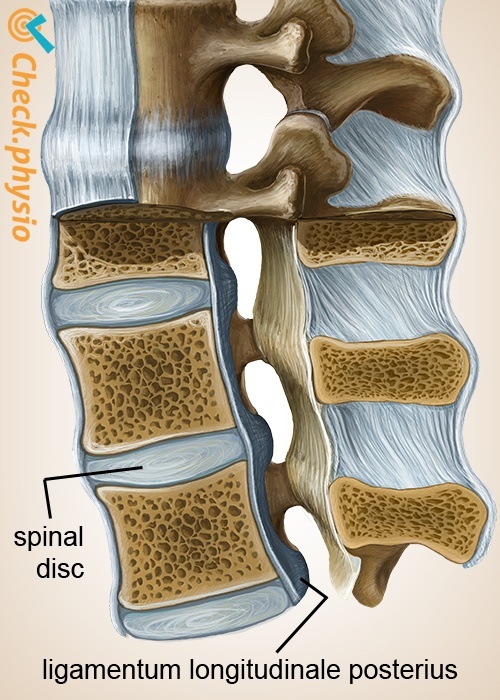 This so-called "antalgic position" is the position that causes the least amount of pain. The tissue swelling is thought to be caused by impingement of vascularised (blood containing) tissue. This can be caused by (incorrect) head movements, an accident or fall on the neck, or a prolonged incorrect posture (with bent neck). The latter example explains why people often wake up with these symptoms. Sometimes the patient feels a painful "snap" when moving the head, after which the symptoms occur. Pain in the neck (usually on one side). The head is bent and rotated to the side (towards the non-painful side)*. There is increased muscle tension. The neck usually cannot be moved into the neutral position. Normally, there are no neurological symptoms. * example: if the pain is located on the right, the head will be tilted to the left. The diagnosis can be made based on the symptoms experienced by the patient, the way in which they developed and the physical examination. If there is any doubt, more serious injuries must be ruled out. The symptoms will generally disappear without treatment in two to three weeks. In some cases, a neck brace can be worn or treatment with cervical traction can be offered (treatment in which the neck is carefully pulled to lengthen). Other treatment forms focus on reducing the muscle tension and the pain. You can check your symptoms using the online physiotherapy check or make an appointment with a physiotherapy practice in your area. Verhaar, J.A.N. & Linden, A.J. van der (2003). Orthopedie. Houten: Bohn Stafleu van Loghum. Winkel, D. & Aufemkampe, G. (1994). Orthopedische geneeskunde en manuele therapie. Deel 2. Wervelkolom. Houten/Diegem: Bohn Stafleu van Loghum. Wolf, A.N. & Mens, J.M.A. (2001). Onderzoek van het bewegingsapparaat. Fysische diagnostiek in de algemene praktijk. 3e, geheel herziende druk. Houten: Bohn Stafleu van Loghum.